The module is needed for compilation. A test in Children checks that org.netbeans.api.project.ProjectManager.mutex() is not held by the current thread when acquiring Children.MUTEX. Since this module cannot depend on the module providing ProjectManager, the test uses reflection to retrieve the ProjectManager.mutex() instance. Answer: Nodes API serves as the main aparatus for visualisation of objects in NetBeans. Nodes augment objects with standard aspects used for visualisation (e.g. name, displayName, icons, set of proerties, subnodes hierarchy, etc.) Once a Node is defined for given object it can be visualised using diferent views e.g. trees, lists, tables etc. Descripion of nodes can be found here. org.openide.awt - The module is needed for compilation. The module is used during runtime. Specification version 7.33 is required. FilesystemsAPI - The module is needed for compilation. Answer: NodesAPI is a public package. 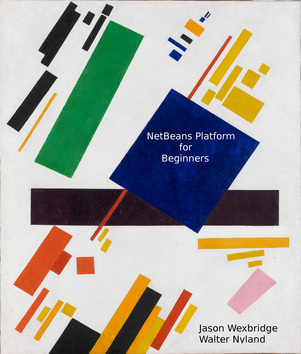 Answer: Defines and implements NetBeans NodesAPI. Answer: Nodes API itself does not use any kind of settings. Displayed nodes are persisted using serialization by default, but this can be changed by developers by providing own persistence mechanism. Answer: Nodes use lookup to communicate with other components. Each node contains own lookup wich is used for augmenting nodes with extended functionality and data. Nodes do not depend on content of other Lookups. BeanNode obviously depends on reflection to get values of beans properties, which shouldn't be considered lack of API. Same applyies to PropertySupport and IndexedPropertySupport. Answer: Nodes provide default implementation of d'n'd operations on nodes. This can be extendeded by specific implementation of nodes by overloading: Node.drag() Node.getDropTye() Default Transferables for nodes can be obtained using. NodeTransfer class The NodeTransfer.Paste interface serves as an intelligent source of paste types for a target node. IndexedCustomizer provides own DataFlavor transfering indices. Answer: Not directly. State of nodes can be serialized as result of window system serialization. Answer: Number of visiualized objects and complexity of the visualised objects. Answer: All nodes are held in memory during the IDE runtime, there is no swap/cache mechanism for nodes. Answer: Fully initialized node can contain relatively big amount of other objects e.g. objects in lookups, properties, etc. Depending on th Node's subclass.